Nintendo certainly knows how to build up anticipation! I’m excited about so many things right now, I don’t know what to do with myself! First of all, I received a Swapnote via SpotPass yesterday from Reggie Fils-Aime, CEO of Nintendo of America. His note said to check nintendo.com today for a special announcement. So I logged in this morning to see what was going on. Apparently there was a new Nintendo Direct video to watch! Check it out online or via the 3DS eShop! There wasn’t anything about my favorite games (where’s my damn Animal Crossing news???) but there were some more reveals for Kid Icarus and a couple of other games. I’m still undecided about Kid Icarus. Do I want to get it? Or rent it? It’s going to have StreetPass features, and the 3D visuals look kickass. Maybe I should at least rent it. What do you guys think? In addition to that, there’s been a lot of buzz that the Pokémon Company is going to make a special announcement on the Japanese TV show “Pokémon Smash” about an upcoming game. If this is true, then there could be BIG news on Sunday! There’s been mixed opinions on whether or not this is for real… but I’m certainly hoping for the best! If you want to see where I got this info, check out PokemonBlackandWhite.net and let me know what you think about all this. If that wasn’t enough for you, I have SUPER EXCITING news too! 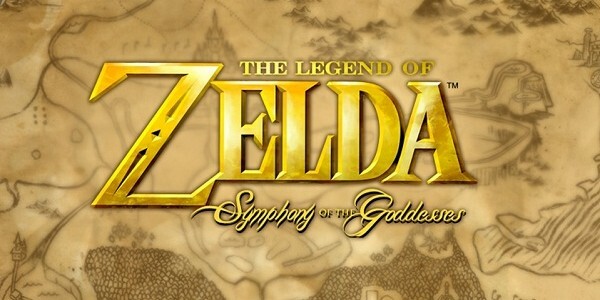 I just bought tickets to attend “The Legend of Zelda – Symphony of the Goddesses” concert! You lucky ducks will get a full report on this super cool symphonic display of Zelda fandom! I’ll be sure to take as many photos and videos as I can from my swanky Orchestra seats! JDubz and I will be attending in July, at the Mann Center in Philadelphia, PA. (No tour dates were announced for the NY area, but if they decide to come to NY at some point, we’ll probably get tickets for that too lol!) It’s gonna be a kickass Zelda-themed ROADTRIP! Should we get into cosplay for this show? Join me at the Glux Blog Facebook Page and let me know what you think about all these exciting prospects!